Held at the iconic Titanic Conference Building in Belfast, Runwood Homes were proud to be a sponsor of the care industry event alongside some well-known household names including Boots, Tena and Queen’s University Belfast. 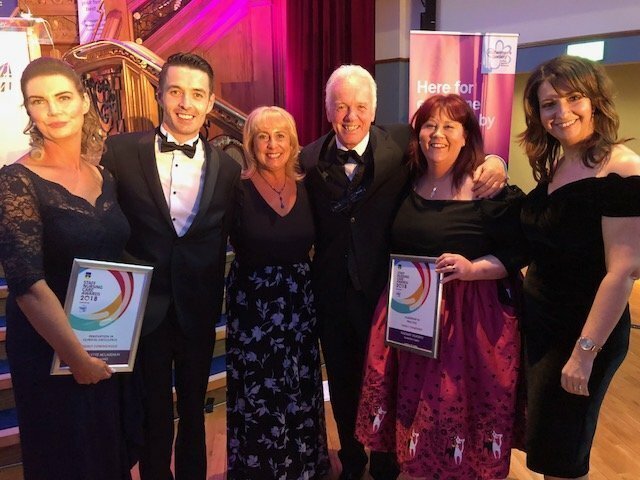 Being one of the biggest celebrations of excellence in nursing care in the care home and residential care settings in Northern Ireland, Runwood Homes staff were proud to be recognised; the awards were greatly received and a fantastic night was had by all in attendance. Runwood Homes are one of the top UK care and nursing home providers, currently with 11 care and nursing homes in Northern Ireland and many more across the rest of the UK, providing excellent care, modern facilities and engaging living environments for all residents. Locate a Runwood Homes residential care home in Northern Ireland by clicking here.